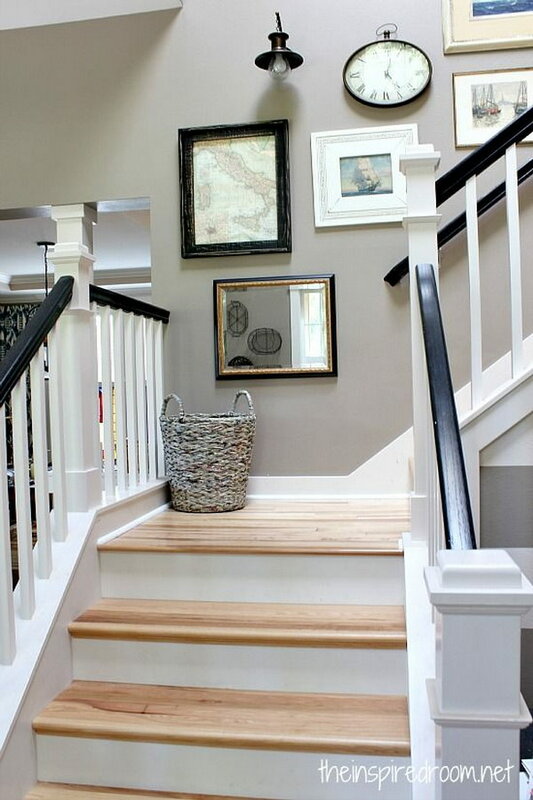 Staircase wall is often a cold corner overlooked by homeowners. 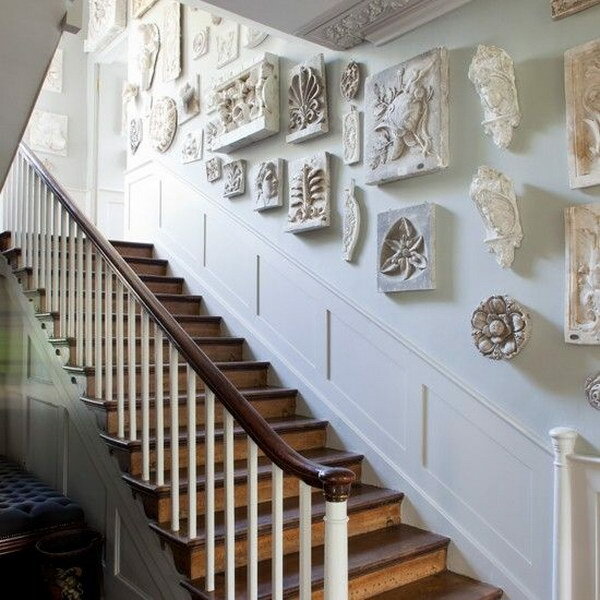 But with a little creativity, your staircase wall can be transformed from an ignored area to an attractive focal point. 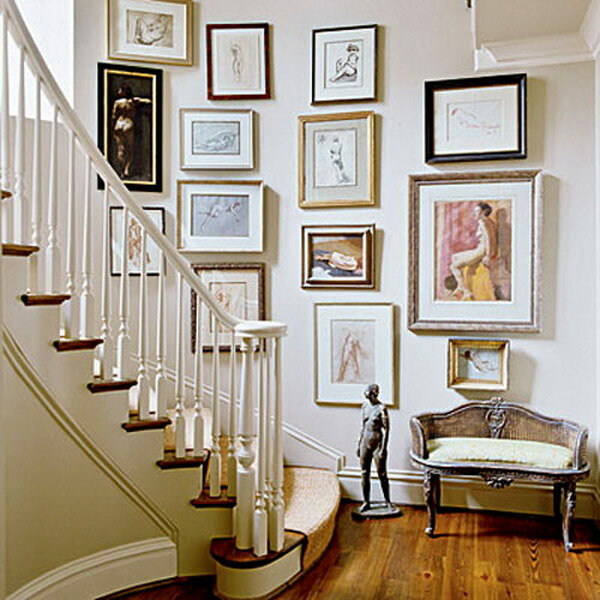 The staircase wall is just like a blank canvas and you can display your favorite decorative items on it. 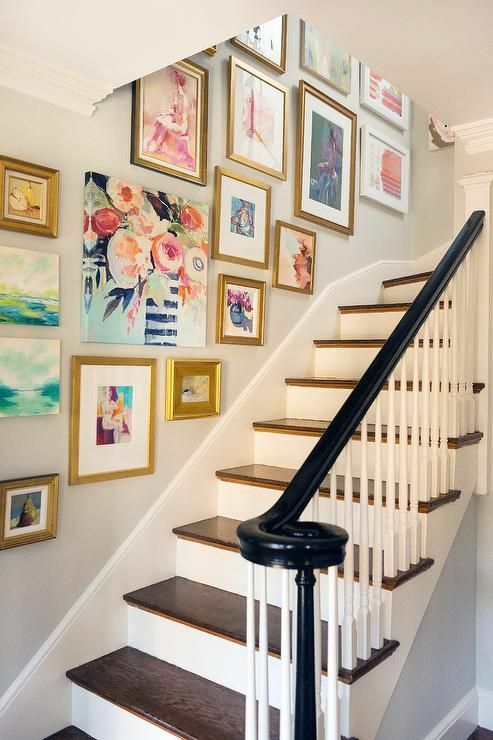 Check out these chic ways to decorate your staircase wall, and use your stairway to showcase your style. 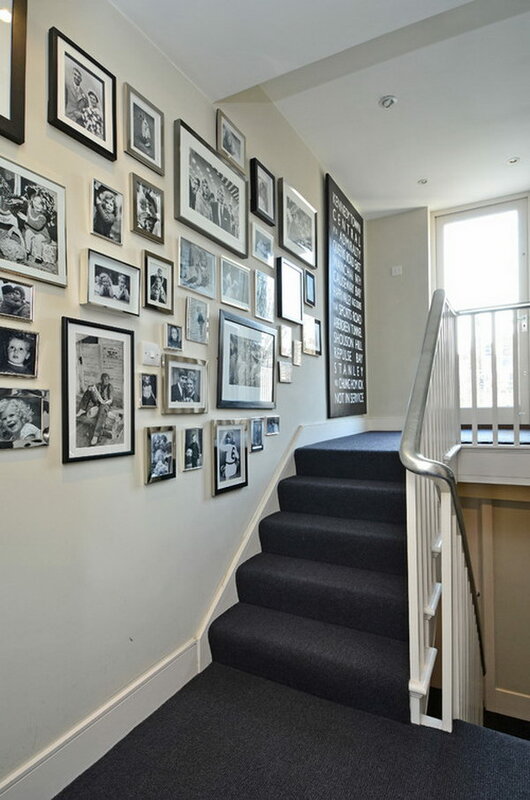 This staircase wall is lined with an eclectic art gallery. 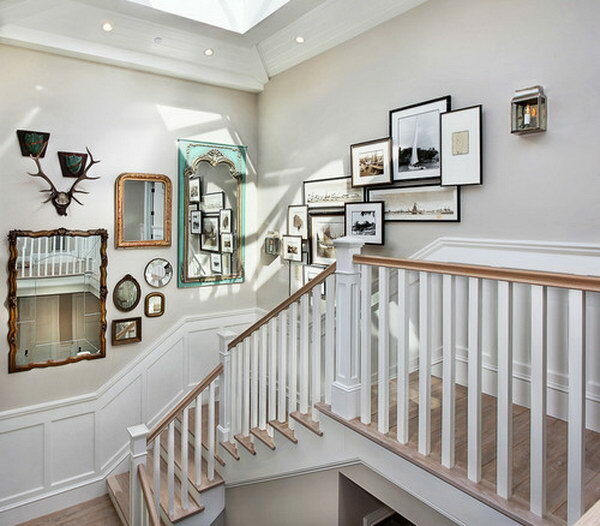 The collection of gold framed art keeps the stairwell light and airy while still making it interesting. 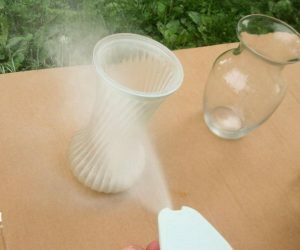 via satoridesignforliving. 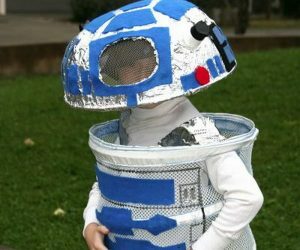 Art is best created when you think outside the box. 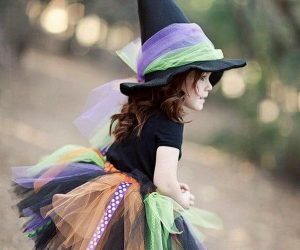 Instead of the ordinary family photos, why don’t you incorporate the family name initial to still bring out the family theme but in a different way. via blesserhouse. 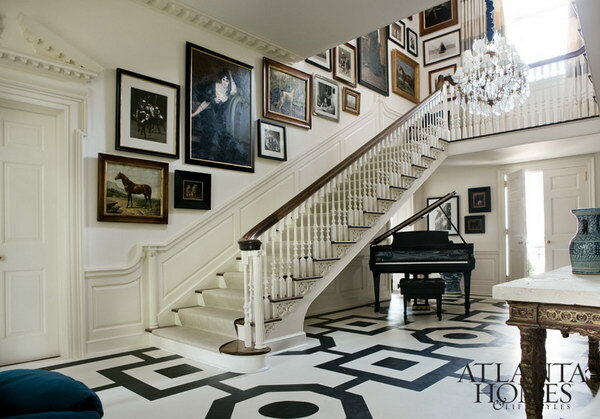 The best way to add character to a black and white stairwell is by incorporating black and white art work. source. 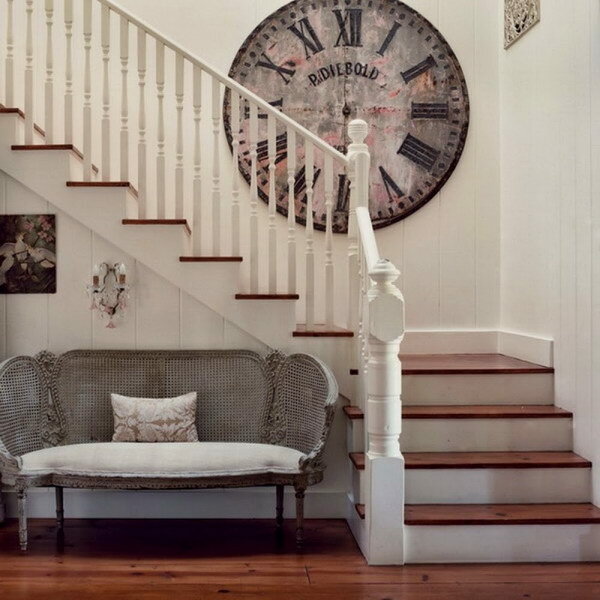 This huge vintage clock can be used to compliment a vintage themed house or create a unique twist in a modern home. via freshideen. 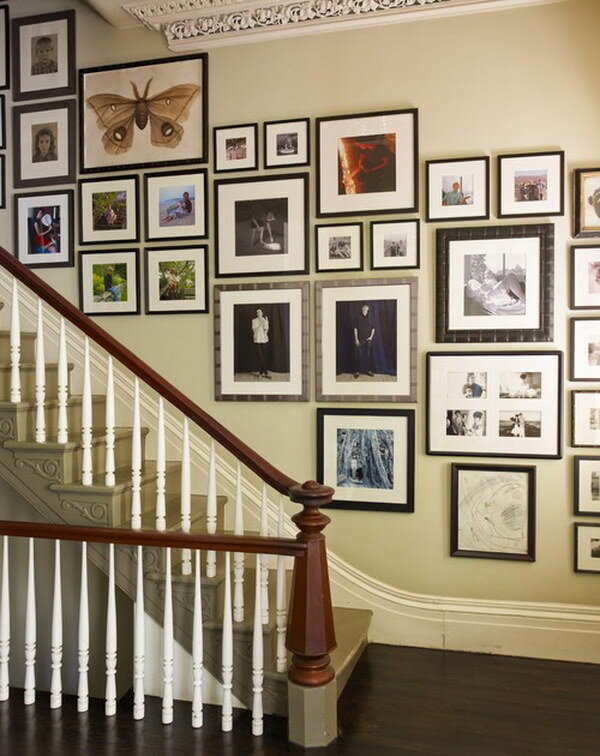 A mix and match art collection of two different themes is sometimes all that is needed to create a balance on a stairwell wall. source. 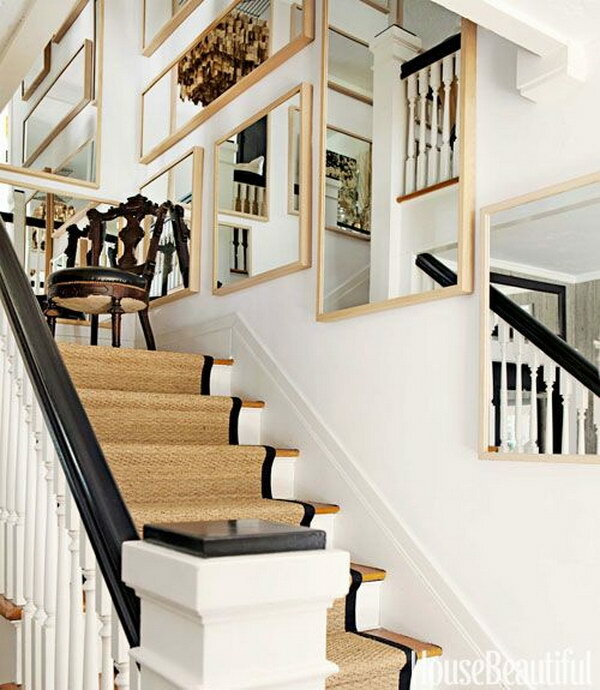 A classic way of displaying a unique collection of mirrors of different sizes and shapes. They all have different characters and most importantly, they illuminate daylight across the room. 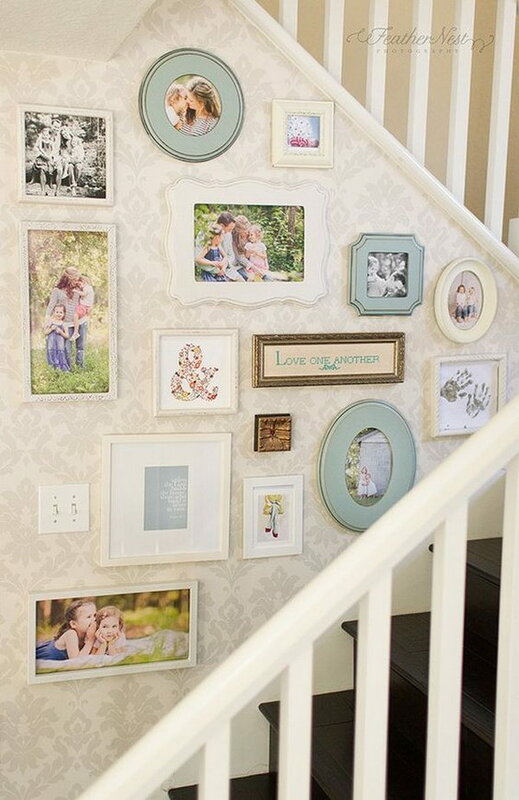 Create a gallery wall filled with all sorts of family photos. 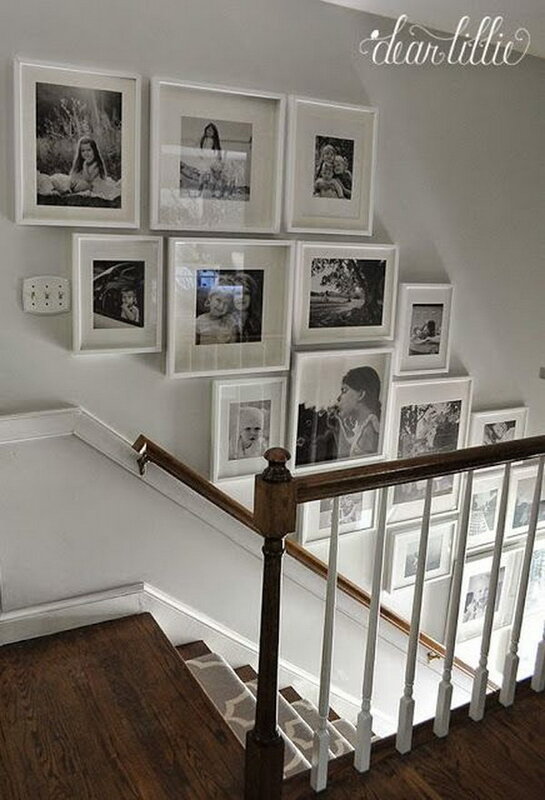 It’s a great idea being able to look at all the photographs and see so many different memories every time you climbed the stairs. source. The vintage design of decor is timeless and can be used on both old houses to create a continuity of the theme or new houses to create a perfect contrats. 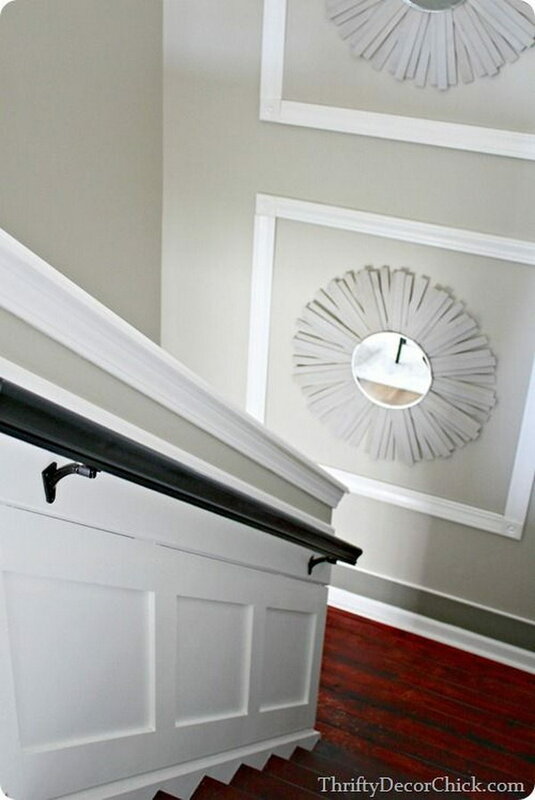 These colors work perfect to accentuate the elegance and maturity of the stairwell as well as the room. via apartmenttherapy. 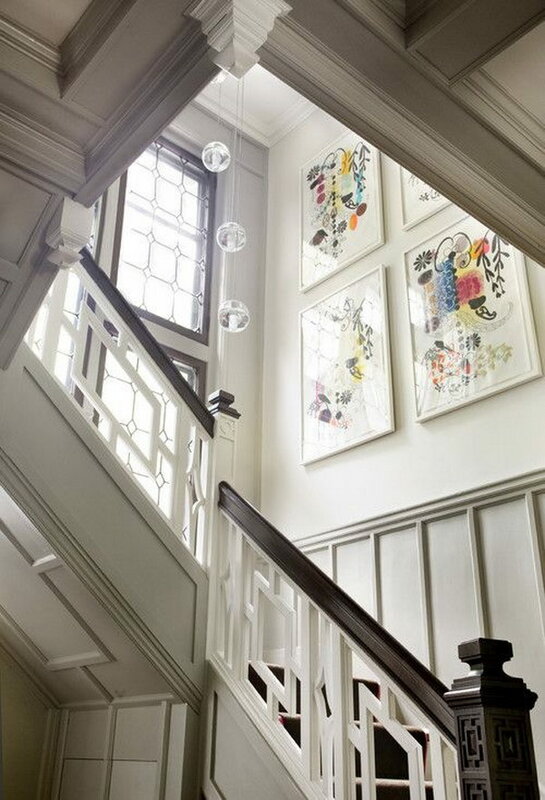 Incorportaing a blend of black, white and silver to a stairwell wall adds an artistic punch to the area. via teresasuperville. 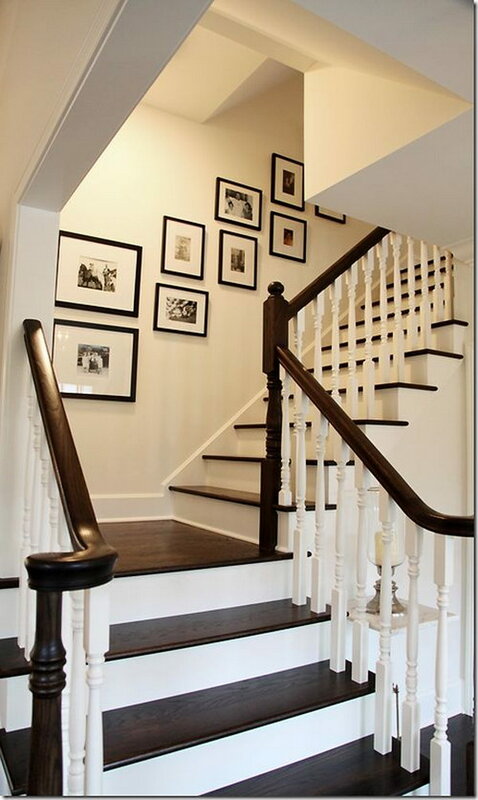 This simple plain white stairwell is complicated with simple collection of pure black photo frames. source. 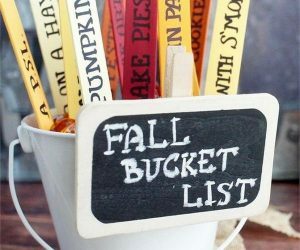 To get even more function out of the stairwell, use budget-friendly chalkboard paint so you can write notes and easily post photos and important papers. Love the gold frames to seperate each family member’s prayers. via amyheywood. If you are looking for something out of the ordinary for your stairwell then these unique artisty sculptures will do the trick. via housetohome. 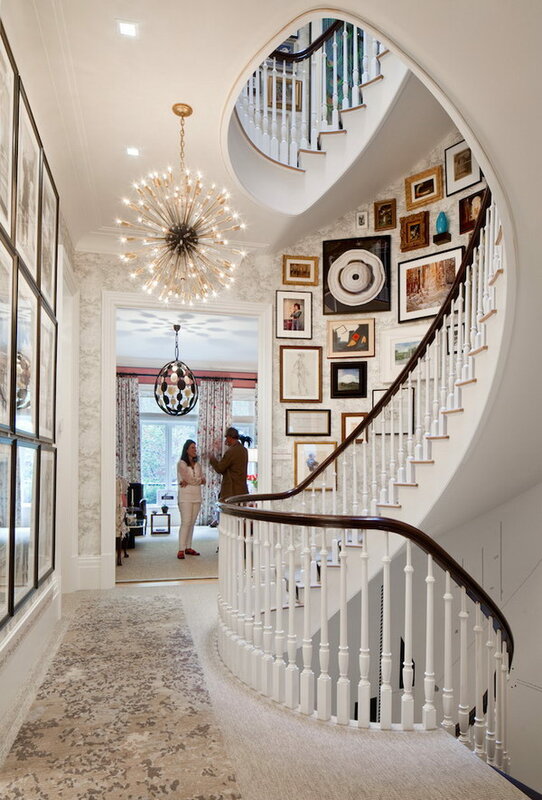 A staircase embellished with the sunburst mirrors makes a great impact! thriftydecorchick. 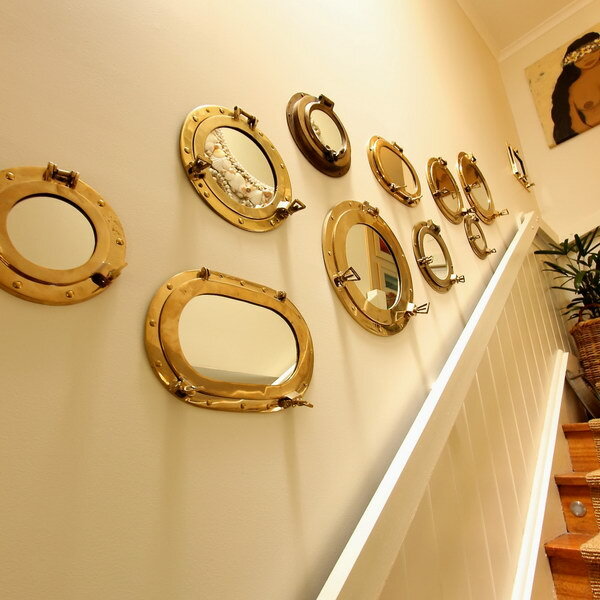 This collection of brass porthole mirrors looks stunning along the Staircase. They have a nautical flair and can look quite elegant with their bright gold or silver brass frames. source. 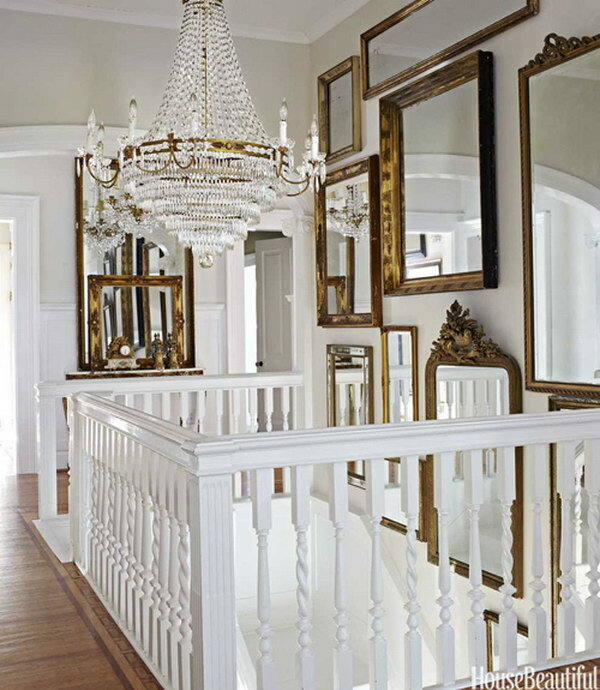 These mirrors illuminate a room and make it appear larger and makes the entry a little bit grand. via housebeautiful. This home embraces coastal decor in a sophisticated and refreshing way. via flashek. 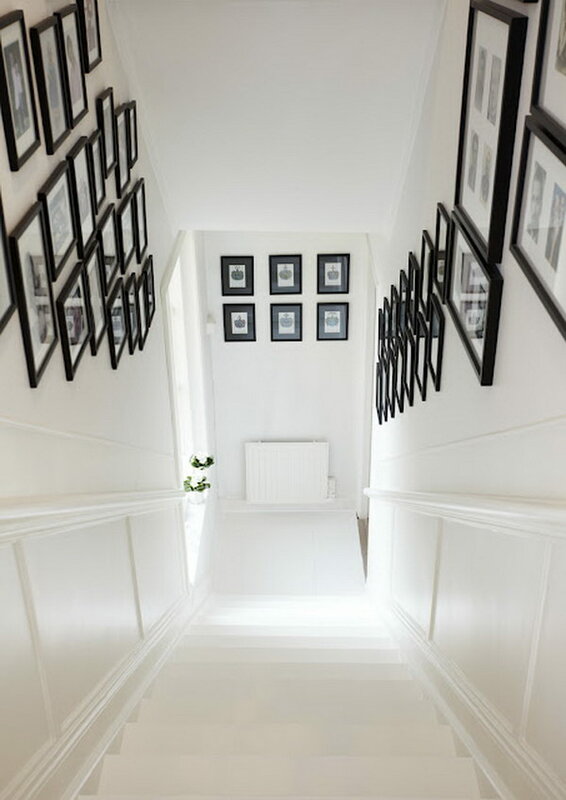 These white picture frames resting on a pure white wall ensures that the focus and attention is directed to it. 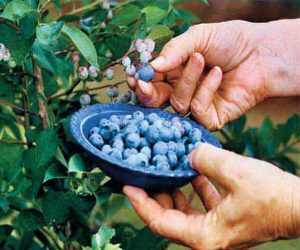 via countryliving. 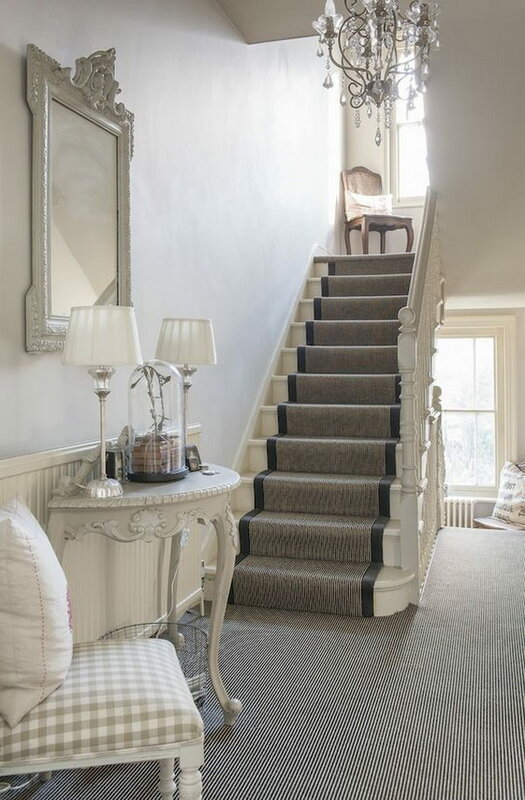 The Cluny Denim on stairs brings out the interesting way the stairway is constructed. via rogeroates. 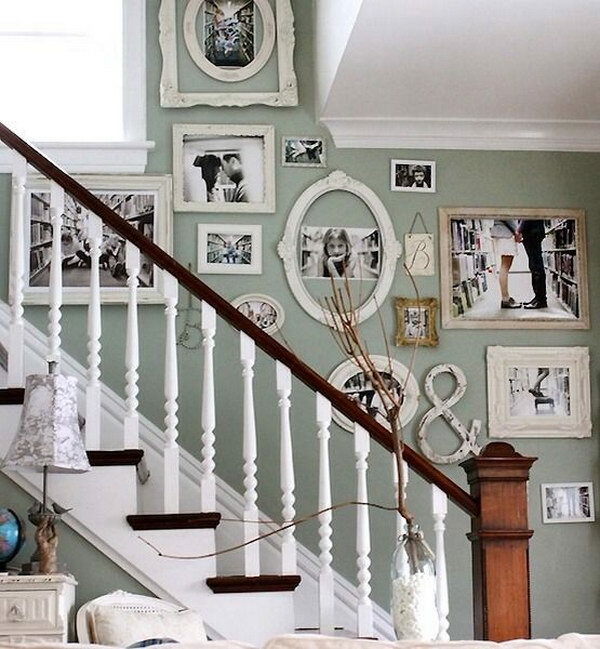 A high stair case wall filled with differently textured, sized, and colored picture frames adds drama to a room. It becomes more artistic when the framed images are different and tell different stories. via sohautestyle. 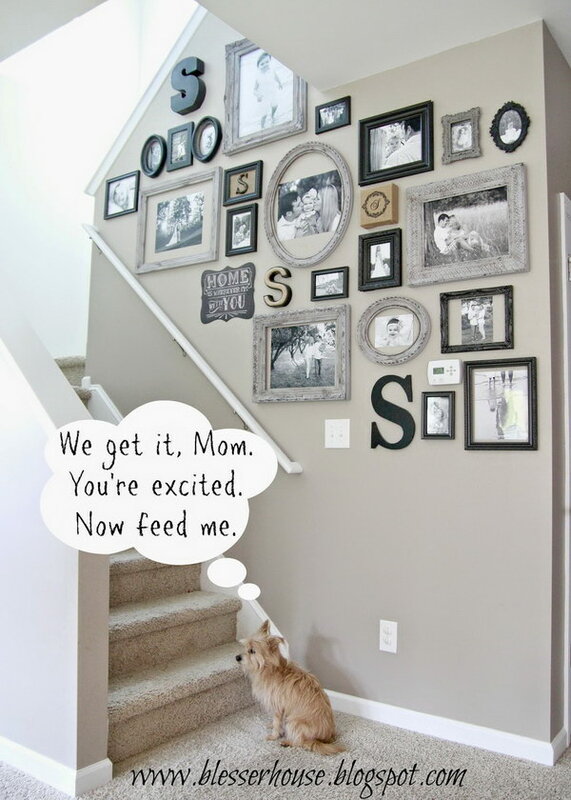 It’s a perfect way to express parents’ love by displaying pictures of your child’s milestones on your stairwell wall. via preservationcreation. 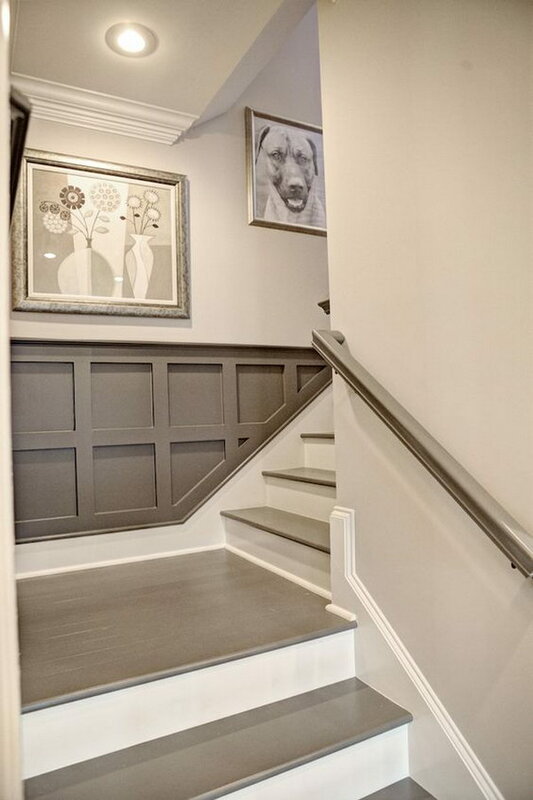 It’s a great idea to remodel your staircase and add character and personality to your house. via theinspiredroom. 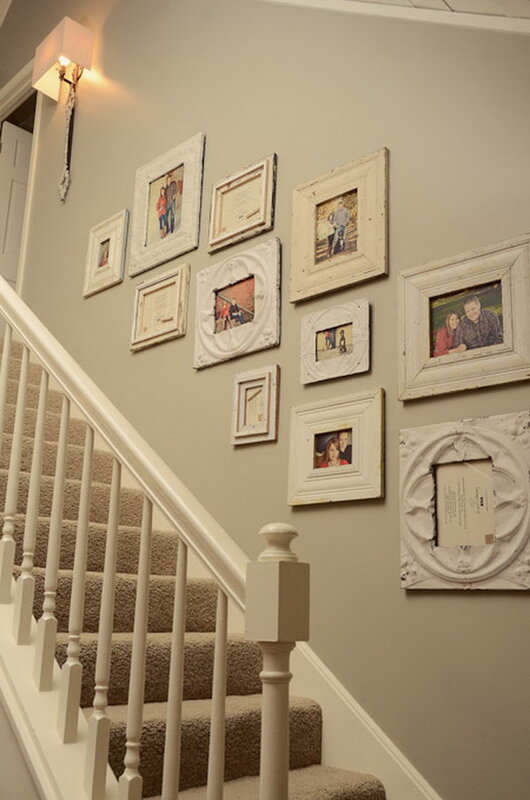 Our favorite stairwell decor is a proud collection of family memories. 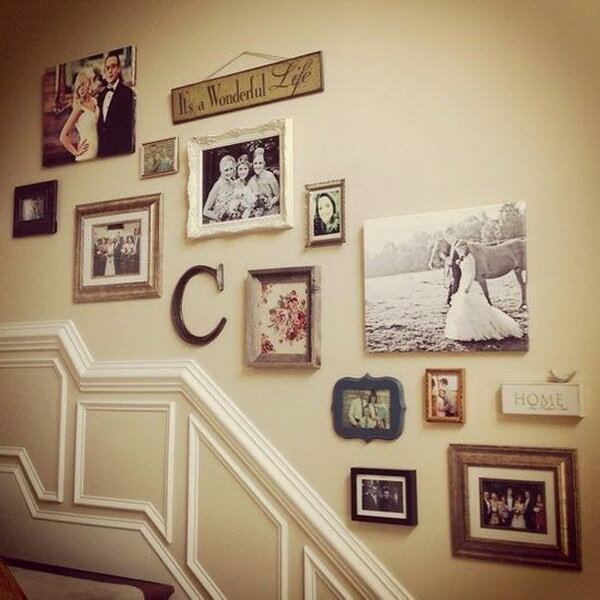 However, you can make yours unique and different buy housing your family memories in one of a kind white washed picture frames. via shopbellavita. 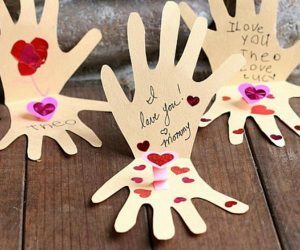 Simplicity goes a long way and is best portrayed in a collection of simple gold framed newspaper cutlets or any other meaningful pieces of printed messages. It creates diversity from the usual. source. 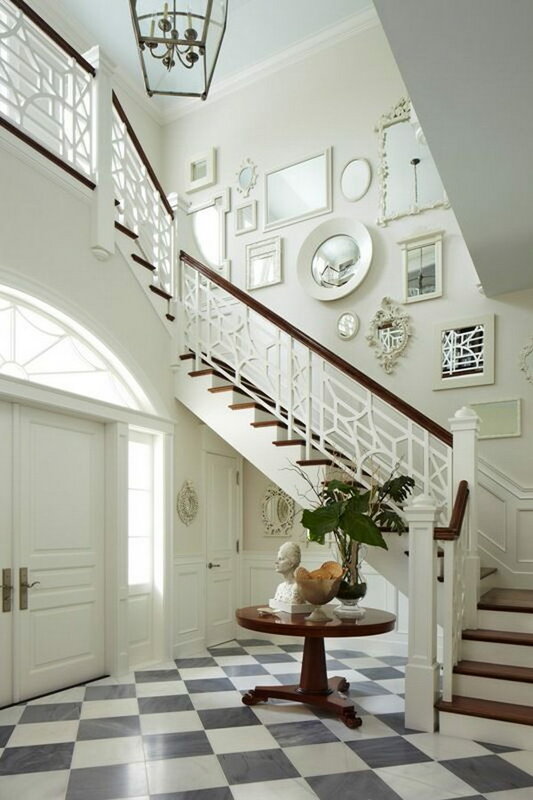 The only way to maintain the simplicity of a room yet adding class to it is by keeping the walls plain. 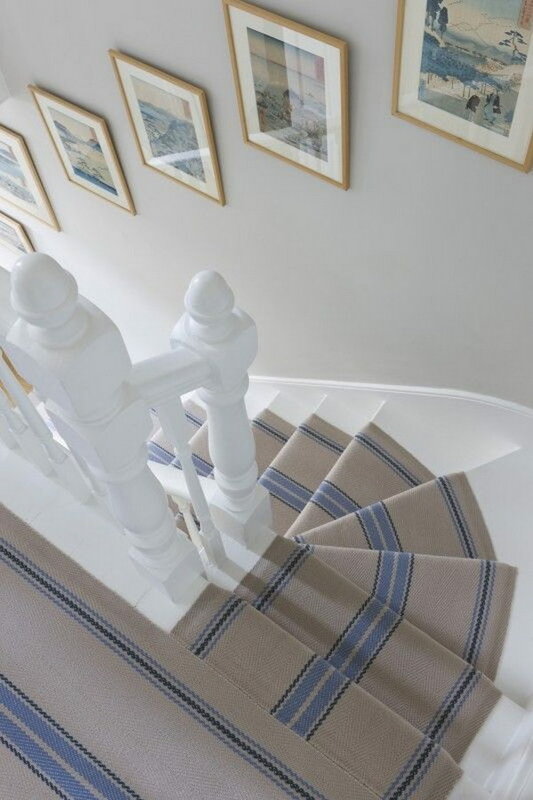 It is also a perfect way of drawing attention to a dense stairway carpet that has an all round beauty on it. via wealdentimes. 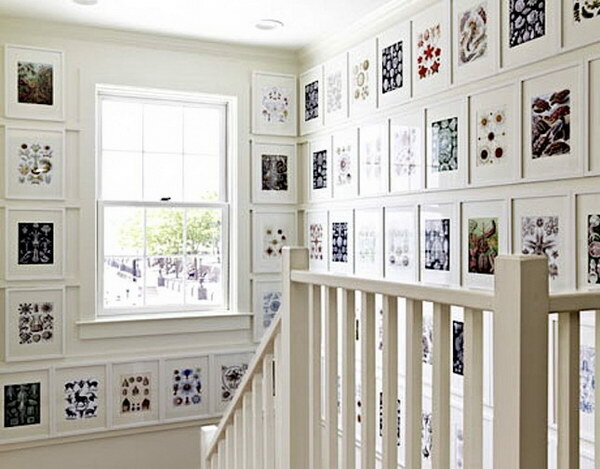 In order to incorporate a contemporary look to your stairwell wall, organize one giant collection of all your black and white photos on it. source. 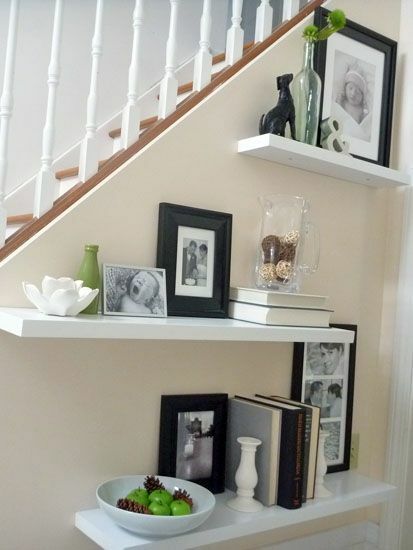 Perfectly arranged rows of black and white photo frames housing family memories. They run from top to bottom hence making the wall busy and eye-catching. 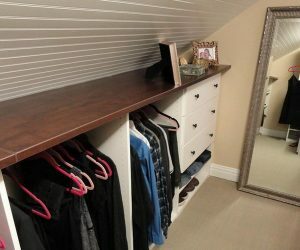 via decorpad. 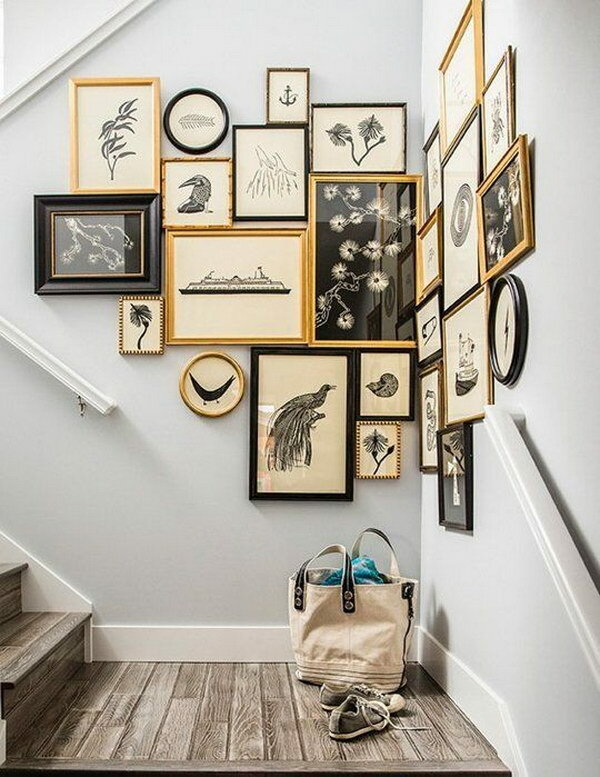 Nothing adds a feminine touch to a wall than a collection of beautifully framed pictures. 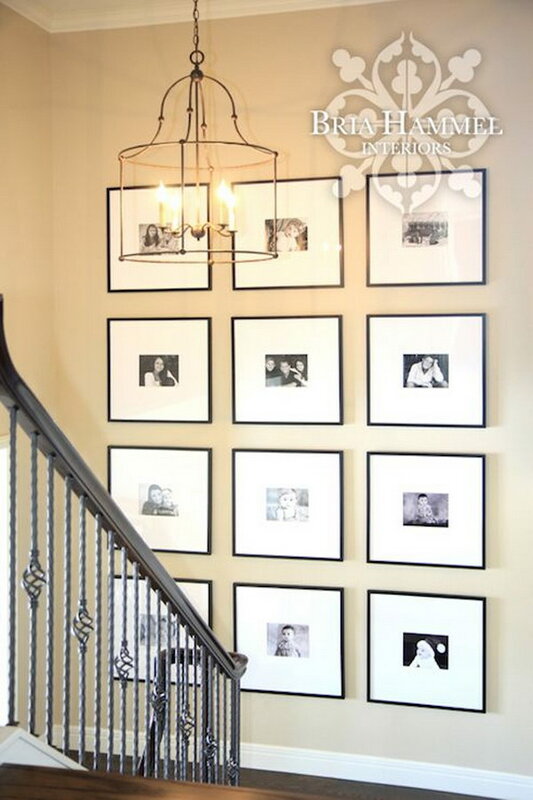 These frames come in a unified black color but in different sizes, designs and textures hence adding character to each photo as well as the room. via thedecorista. 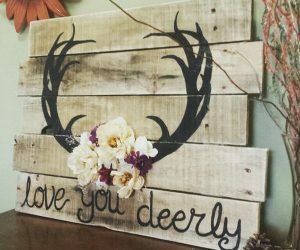 This staggered artwork gives different depths instead of all flat on the wall look. The mirrors are a great addition to the decor. via pattersoncustomhomes. 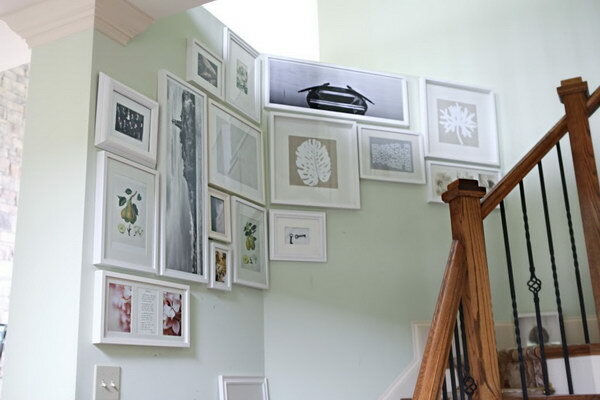 The perfect way of creating an artistic imbalance is by hanging up large picture frames and filling up the inbetween spaces with little frames. via bowerpowerblog. 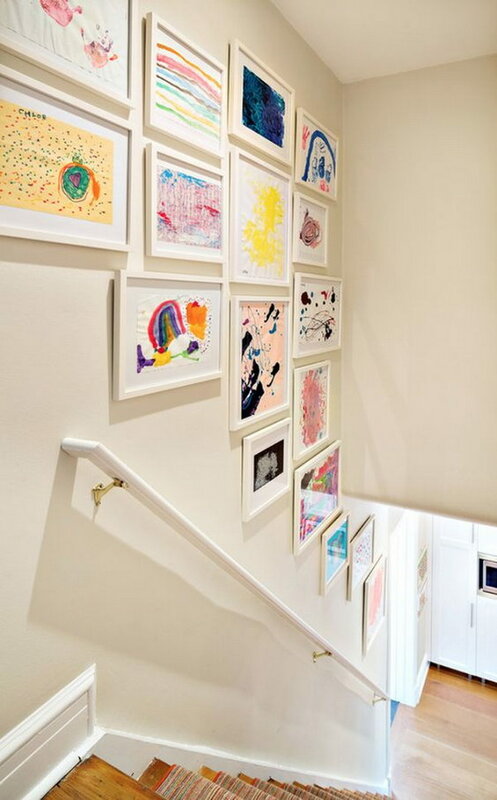 Display a collection of your child’s artwork on the staricase wall. via houseofturquoise. 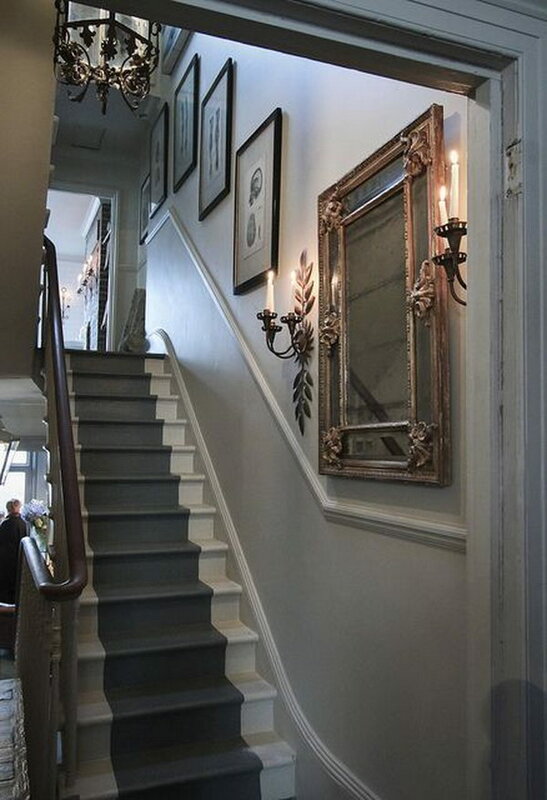 Using a bold and elegantly framed mirror is a great way to enhance the beauty of the stairway. 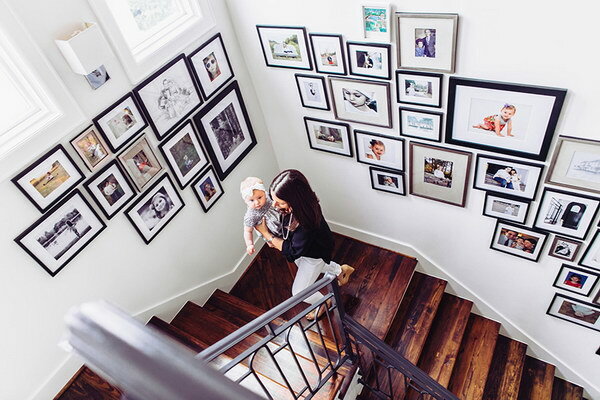 Following it through with simple black framed photo frames of the same size strikes a balance while maintaining its simplicity. source. 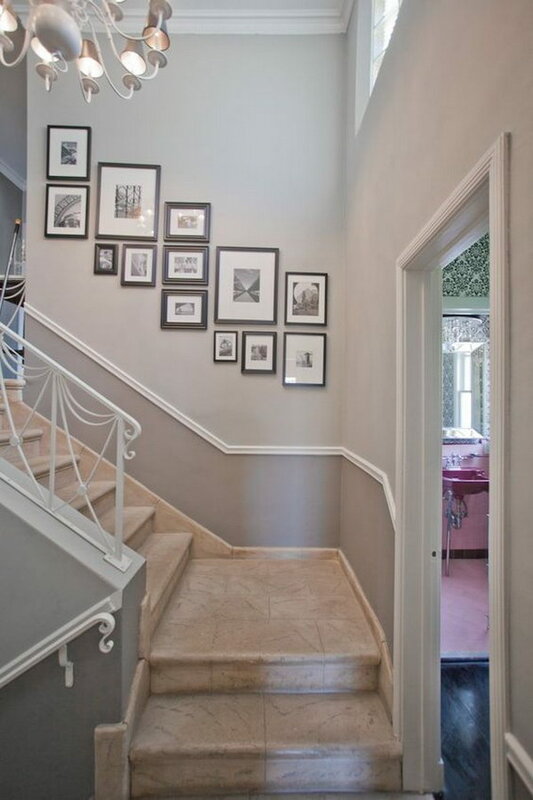 A collection of antique picture frames on a stairwell wall portrays an appreciation of our roots and originality. 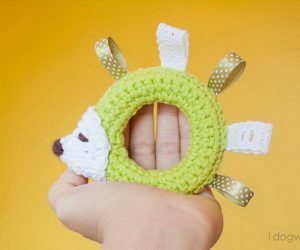 These come in different shapes, sizes, and designs. source.